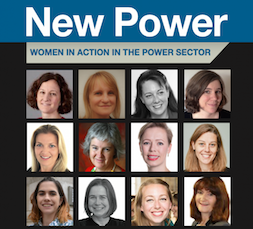 New Power Database is a powerful tool available to subscribers. 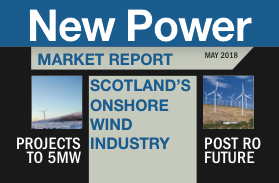 Constantly updated, it has live data on 2,000 projects in the UK with capacity 10MW or above, and selected projects below that level (eg hydro, wave and tidal) that can be searched and sorted. You can sort entries by: project name; developer; project type; location (mostly by county); country (England, Scotland, Wales, N Ireland); original planned startup date; planned capacity; status (see below); actual startup; current capacity; transmission capacity and from when; ownership. You can use multiple categories and search terms. Plant status is categorised as: proposed; applied (for planning permission); approved (planning permission); refused; public inquiry; cancelled; under construction; operable; mothballed; shut down. You can perform a text search to find individual sites, locations, companies etc. Select power plants that have been awarded a Capacity Market contract in the 2014 auction round by using the search term ‘CM T-4 2014‘. Select plants that are ‘CM qualified‘. Select plants with CfDs awarded, using the search term ‘CfD 2014‘. To access the database use the ‘subscriber area’ tab. You will be asked for your login and password. New Power subscribers will receive a username and password to enable them to access the database and online archive. You may not use the username assigned to another person or disclose or share your username and password. Subscribers can search, sort and export data for their personal use. Subscribers can use reasonable portions of information for educational or research purposes, including illustration, explanation, example, comment, criticism, teaching, or analysis. Subscribers can use the results of their analysis and publish it at no cost provided full attribution for the data is included. You can include short tabular information (maximum ten lines). If you want to use a substantial part extracted from the contents of the database, you should obtain, prior to use, authorisation in writing from New Power. New Power makes no warranties with respect to the data and you agree we will not be liable to you in connection with your use of the data. The material is provided without any guarantees, conditions or warranties as to its accuracy.